Selling means exchange of money with the product/service we have. But, beyond this exact meaning, there is something to establish a relationship between the buyer and seller. Day before yesterday, I went to ICICI Bank, Srirangam branch with my mom. I want to deposit some money in her name. I was directed to an executive sitting there. I asked him whether they have Mutual Fund. Then the executive replayed that they have an amazing investment plan in Mutual Fund on which if we invest at NAV of Rs.10 now, the maturity will be at NAV Rs.14 minimum. That's the Highest NAV guarantee plan. I could guess that he is promoting some life insurance plan and I probed further. I was correct, that guy was promoting a Life Insurance Plan of ICICI Pru. He made all false statements about the NAV Rs.14 which was old plan's one and showing me a cheque that he collected (rather exploited) from some customer. I opposed his statements and I told him he was making an offense by misleading the customer. He was arguing and not accepting his mistake at all.. This is how they are trained. I have come across many people invested in lakhs in Life Insurance through banks without knowing that they are signing into a Life Insurance form. Is this Selling? This is nothing but exploiting the innocence of the customers with the banner and premise of a bank. Sales is nothing but satisfying a need. Sales is a process in which the salesman helps the customer to take a favorable decision. (Favorable to customer first and then the salesman) Many circumstances, the salesman takes the decision and forcing on the customer rather helping him to take one. Here is where the friction and misleading happens. I use to call the last step of sales process as "Sales Completion" rather "Sales Closing". Yes, it's the completion of a process and the relationship continues. 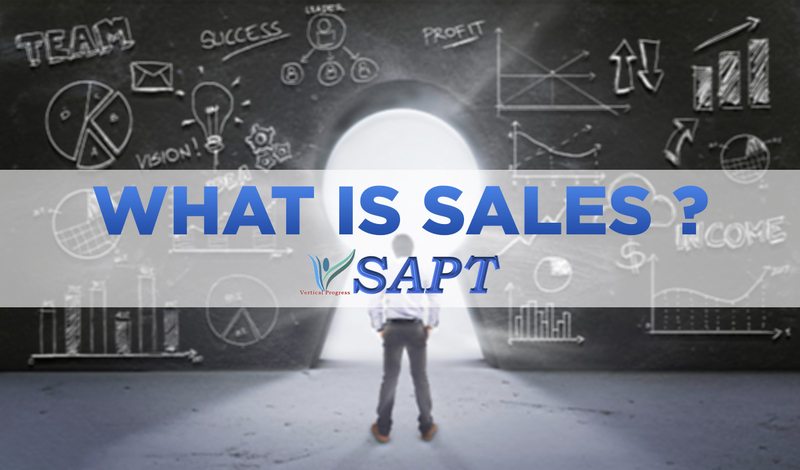 Now, let's understand the NEED and salesman's job. The salesman has to IDENTIFY a need or CREATE a need. Then SATISFY the need. This is the right sales process. The rule in the law "Buyer Beware" is been used extensively to cheat the customers. But, the truth is the customer is cheated only once. Only the salesman is cheating himself for ever by loosing the relationship. What the relationship could do? As Mr. Joe Girard, the only salesman in the world to secure "Guinness Records" says, each customer should be seen as 250 customers as everyone of us have close access to minimum 250 customers. One satisfied customer tells to 3 others and one dissatisfied customer tells it to 100..